Although email marketing can be extremely effective with the right strategy, it’s not always easy to connect with your audience. Across a wide range of industries, the average email open rate is about 32%. Customers have a lot of other content vying for their attention; they’re not going to read everything that reaches their inbox. Even reaching their inbox in the first place can be difficult, with the heightened security of spam filters and email list attrition rates creeping up. First, use an email verifier tool to get to your customers’ inboxes, then consider the next steps of your email marketing strategy. If you’re having trouble getting readers to actually open your emails once they’ve landed in inboxes, you may benefit from implementing a localization strategy. Your audience is simply more likely to engage with your content if it’s tailored to their specific needs. 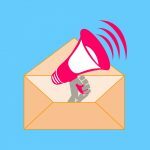 The following tips will help you better understand how to plan your next email marketing campaign so it’s properly localized. Customers are exposed to plenty of generic copy every single day. They often dislike emails that sound more like ads; that’s why it helps to use a more personal tone. You can achieve this in several ways. For instance, instead of listing the company name in the “from” line, you might consider listing the name of a prominent individual at the company, so long as the name would be familiar enough to your customers to get their attention. You can localize an email by acting as though you’re also a resident of the same area your customer lives in. 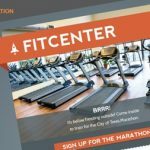 Email content from Fitcenter, for example, made reference to the cold weather in the recipient’s area. This feels more personal because the content seems like a neighbor sent it. In the body of the email itself, make sure your copy sounds like you’re contacting a personal friend, and not just another one of your customers. One marketer experimented with a template that was designed to mimic the experience of receiving an email from a friend or family member. The result: a 57% open rate. This personal feel evokes the experience of corresponding with a local business owner. Sending coupons, discount codes and other promotional offers is a smart way to get your customers’ attention. Just make sure the discounts you send are relevant to their needs and location. For example, if you operate brick and mortar stores, send coupons that can be redeemed at a nearby location. If you sell apparel, don’t send discounts on heavy winter coats to customers who live in typically warm regions. You’ll have to do some research to ensure your customers are getting relevant promotional offers, but the payoff will be worth it. It’s also important to understand that where your customers live isn’t the only factor to consider when localizing an email. For example, The Bowery Presents sent users who had seen concerts in New York City emails about future concerts in the area. When a New York City-based user bought a ticket for a show in Boston, the emails also included other Boston shows, as the recipient would clearly be traveling there. Consider where your readers will be, not just where they are. Sharing emails or offering discounts to customers who sign up for your mailing list on social media is another smart localization strategy to adopt. With platforms like Facebook, you can also post ads or boost posts, targeting potential customers in specific regions of the world. Some of those readers might share them on their own social media accounts, boosting your local influence in that area. A recent study analyzing the impact of different email subject lines on open rate confirmed that localizing the subject line is a very effective tactic for marketers. If the content is relevant to a local branch of your business, include that information in the subject line. If it isn’t, simply include the name of a specific state or region. Then, send the email to customers in that region. In general, segmenting your email list so customers receive content tailored to their needs and tastes is key to a strong email marketing campaign. There are many different ways you can choose to break up your list. Consider segmenting it by geographic location or language. This will ensure that your audience consistently receives emails relevant to their area and culture. Again, email marketing can still be extremely effective; you just need to plan your strategy before implementing it. By localizing your emails, you’re much more likely to to deliver messages your customers will actually read.